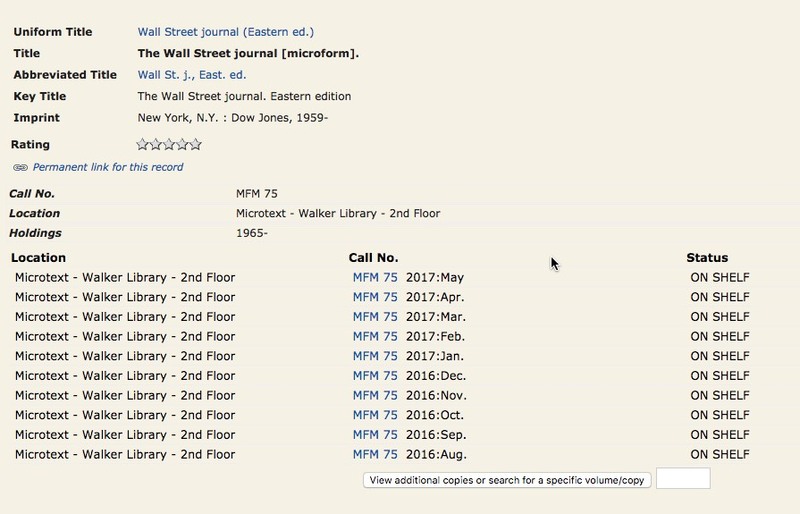 How do I access The Wall Street Journal? - Ask Us! Q. How do I access The Wall Street Journal? I would like to search for and browse some issues. Copies of the Wall Street Journal can be found in two places. Microtext copies can be found on the 2nd floor in the Microtext area MFM 75. 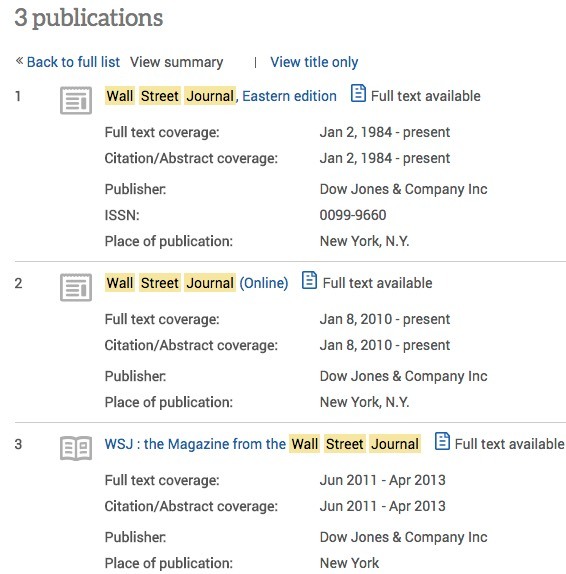 Online access to the Wall Street Journal is provided through the database ABI/Inform. 1. Choose a subject and search for it in the Wall Street Journal. Select Publications from the menu. Type the name of the publication you wish to find. Click Search. The list of publications available will display. Click on the link to the one you wish to view. 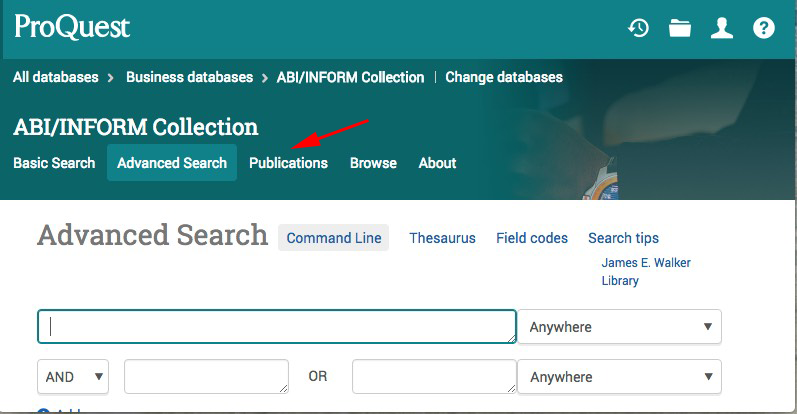 You will see a Search within this publication box where you can enter search terms. ABI/Inform is included in the Popular Databases list.